Weddings can be stressful times thanks to a combination of high expenses, tense relatives and dizzying expectations. If you want your big day to be one that's relaxed, joyous and fun, just implement a few Feng Shui cures into the mix. 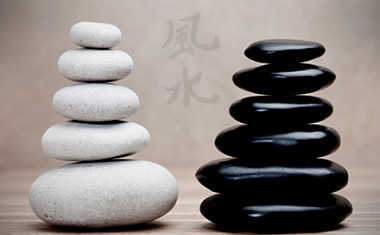 Remember, the point of Feng Shui is to create an environment that nurtures and sustains people. A few gentle adjustments to your wedding's decor could result in a wonderful day you'll never forget -- despite the best efforts of meddling in-laws, inept caterers and uncooperative weather. However, Feng Shui can also give you a peek at your future. It's easy -- just try our 9-Star Ki report. The focal point of most weddings is the bride's dress. Pure white is considered a metal color, with an exacting energy that might be too taxing on an already beleaguered bride. Instead of opting for this classic color, choose a softer earth tone like ivory, cream or bone. The nurturing energy of earth will put you at ease, making for a much more enjoyable wedding. If you want to wear a dress that's a little different, you can choose another earthy color like cocoa, dusty rose, pumpkin, olive or honey. These shades will also work well for bridesmaid's dresses. Certain dates are more auspicious than others for weddings. Any date that ends in an 8 or 9 is particularly lucky because 8 symbolizes infinity and 9 represents fulfillment. According to Feng Shui logic, the 8th, 9th, 18th, 19th, 28th, and 29th are ideal wedding dates. If you're not crazy about those dates ... there is hope. 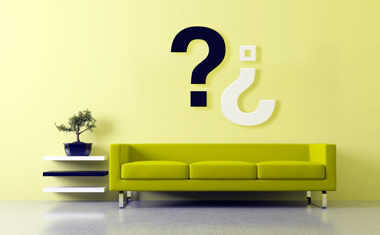 Feng Shui practitioners believe that any date that adds up to the number 8 is favored for commitment. Therefore, the 17th and the 26th are also lucky days to get married. In particular, the 8th day of the 8th month -- August 8 for example -- has an air of permanence that will be nearly impossible to break with divorce. 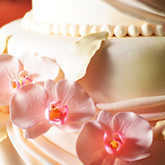 Feng Shui practitioners believe that the wedding cake is symbolic of the married couple's future. With that in mind, you should choose a cake that best represents your shared goals. For instance, if you want an adventurous marriage where you will grow and learn together, choose a three-tiered wedding cake, which represents the rising energy of wood. For a stable marriage, pick a square cake, which symbolizes the nurturing energy of earth. A round cake is perfect for people who want lots of children or are very artistic, because circles represent the creative principle of metal. If you have an overly critical relative, try this Feng Shui cure. Position this person's chair so that it faces a water feature like a fountain, ice sculpture or aquarium. Even a picture of an ocean, lake or river can work. Water has a calming influence that prompts people to turn inward, and makes them less prone to acting out. If you're not able to do this, try pasting a square of black construction paper beneath this person's seat, as this color represents the water element.